Learn to fly with Almat Flying Academy. We offer trial lessons, flight instruction and in-house ground school. Whether learning to fly either two or four seater aircraft. We can help you achieve either the LAPL or PPL pilot licence. View our services or find our more below. Experience the joy of flight and turn your dream into reality. We have a diverse fleet of aircraft and a state of the art simulator. Our dedicated team of full time instructors ensure you receive the highest standard of training. Start your training with us today. Our simulator is available for private hire for those who just want to fly the simulator without instruction. You can practise for an upcoming flight or experience the thrill of flying without leaving the ground. More information below. We offer flight simulator training on our state of the art simulator. More information can be found below. Take to the night skies and enjoy a different flying experience. 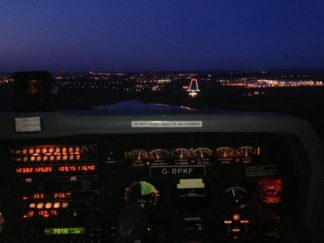 Our night flying training will lead to you being able to add an additional rating for your PPL or LAPL pilot licence that allows you to fly at night. Start your night flying adventure with Almat. Learn how to fly a tail wheel aircraft in our lovely Cessna 152 tailwheel trainer. Tailwheel training is a great way to expand on your ppl license and gain further experience. Training towards your rating is charged at £200 per hour instructed (excludes landing fees). Learning to fly can be a wonderful, but sometimes daunting experience, but rest assured with have the staff and resources to ensure you excel. With our structured learning environment, friendly staff and club working ethic, you will always have someone to hand to assist you, whether that be a flight instructor or one of our many members that are always on hand to offer you guidance and advice. We recommend in the first instance you try one of a Trial Flying Lesson to get an insight into what it is actually like to fly a light aircraft hands on. This includes a FREE consultation with one of our staff members to help you find the right path for you. A large proportion of learning to fly will be flight instruction in an aircraft. In addition to this there is a theory element. This must be learnt on the ground. We provide ground school training for both licence types. This can be one on one, group and distance learning. We also offer an Intensive Ground School, which is a group based 7 day course designed to help you pass all of the exams in one week. What Sort of Aircraft Can I Learn to Fly In? We have Cessna 152 and Robin 2160 which are 2 seat aircraft. In addition to this we have a PA28-161 and a Cessna 172 which are both 4 seat aircraft. All aircraft are available for training or private hire. How old Must I Be Before I can Learn to Fly an Aeroplane? You can start your training from the ages of 12 although hours cannot be logged (ie do not count towards a licence) until 14. You cannot fly solo until the age of 16 and you need to be 17 to hold a PPL or LAPL licence. How Many Hours Flight Instruction are Needed to Get a Licence? 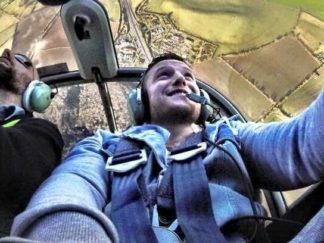 The CAA requires all candidates to complete a minimum of 45 hours flight training including 25 hours dual flying with a flying instructor. Also 10 hours solo, including at least 5 hours cross country navigation. This must include a qualifying cross country flight of 150 miles landing away at two other aerodromes. The remaining 10 hours will be dual or solo, depending on the needs of the student (usually dual). This makes up the requirement for minimum hours to complete the PPL training syllabus. There are lesser requirements for the LAPL Syllabus. 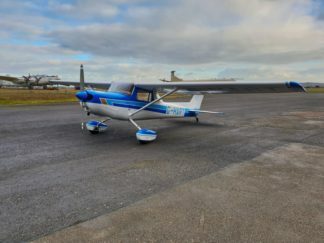 If you are just starting learning to fly you may be interested to read more about the different licence options, which are compared on our Pilot Licence page. Here there is a lot more information for people wanting to pursue a licence. Is Learning to Fly Safe? Aeroplanes are one of the safest forms of transport. All aircraft are inspected prior to each flight. 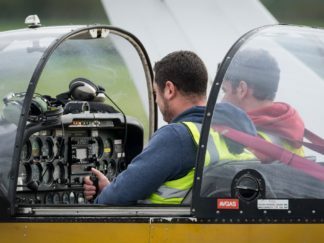 They are checked and maintained regularly by licensed engineers, To the highest standards as required and regulated by the Civil Aviation Authority. All our instructors are fully qualified commercial pilots, with extensive experience and expertise in the field of instruction. Periodically their licences are re-validated by authorised flight examiners. Am I Insured when Flying with Almat? You are covered under the aircraft insurance. Is Learning to Fly Difficult? Not really, but it does requires high motivation and dedication. Does the Weather Play a Major Role in Flying? Yes, depending on your type of flight and nature of training. We adhere to the standards, rules and regulations as laid down by The Civil Aviation Authority to ensure that you have a safe and enjoyable experience. Will a Trial Flight count towards my training? All trial lessons are bone fide training flights, hence if you did wish to continue training it will count.